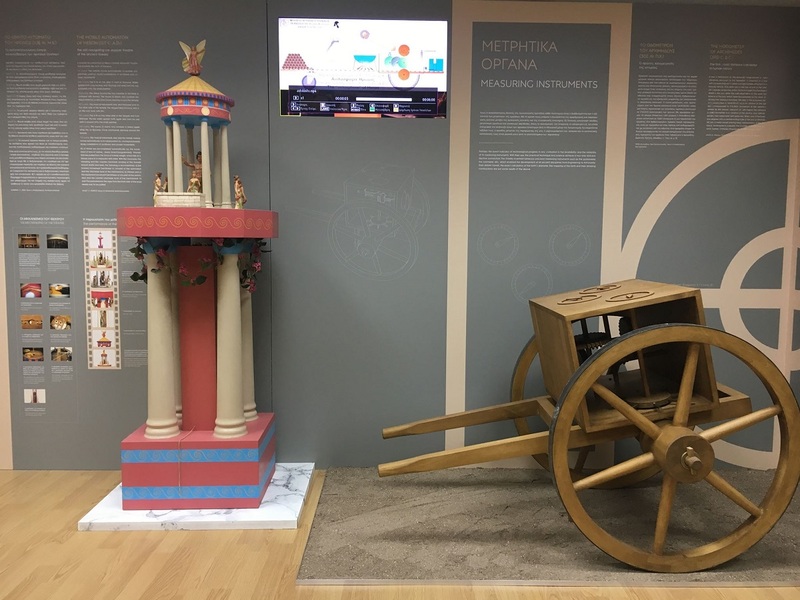 The Museum of Ancient Greek Technology – Kostas Kotsanas opened its doors in a three-storey art nouveau building in central Athens this month, with exciting displays of technologies made by the ancient Greeks. Some of the exhibitions currently underway include The Automatic Theaters of the Ancient Greeks, The Clocks of the Ancient Greeks, The Automatics of Heron, The Inventions of Archimedes, The Hydraulic Technology of the Ancient Greeks, Measuring Instruments, Tools and Machines of the Ancient Greeks, The Medical Technology of the Ancient Greeks and many more. The museum currently hosts more than 300 exhibits or copies of ancient Greek devices and inventions, some of which are interactive, while all items on show are operational. The museum aims through its exhibits to highlight the relatively unknown aspect of ancient Greek civilisation and to demonstrate that the technology of the ancient Greeks was similar to modern technology. At the same time, visitors to the museum will have the chance to see 42 re-created ancient Greek musical instruments, part of the museum’s founder Kostas Kotsanas’ collection, including the hydraulis (organ) of Ktesibios -considered to be the first keyboard instrument in the world, the stringed lyra and the varvitos, Apollo’s kithara (guitar) and many more. Besides its permanent collections, the museum will also be hosting temporary exhibitions of ancient Greek technology, ancient Greek games, ancient shipbuilding, astronomy and more, and will offer educational programs and workshops for young people and adults on robotics, mathematics, natural sciences, etc. A Patras Polytechnic University graduate, 55-year-old Kotsanas first set up the museum on his own initiative in 2003. The Museum of Ancient Greek Technology (http://kotsanas.com/gb/index.php) is located on 8, Pindarou street in Athens, and is open daily and on weekends from 9 am to 5 pm. Admission is at 5 euros (reduced rates for students, children, teachers, and senior citizens) and includes guided tour in Greek and English. Kids under 11, people with disability and army conscripts enter free of charge. Original article available at gtp headlines website.